Mortar shell lands in Sha'ar HaNegev, sounds alarm; no injuries or damage reported. 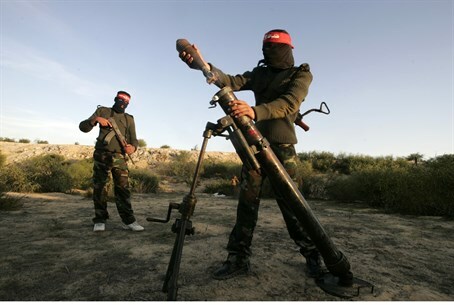 A mortar shell was launched from Gaza into Israel on Wednesday evening, and landed in Sha'ar HaNegev. No one was hurt and no injuries have been reported. Earlier Wednesday, the "code red" siren sounded near Hof Ashkelon. A rocket had been fired at Israel, but landed on Gaza's side of the border. Terrorists in Gaza shot at IDF soldiers earlier Wednesday near the Israeli "kibbutz"-type community of Kissufim, close to the security fence with Gaza. No soldiers were injured from the shots, and in response they fired in the air. Last week, five rockets were launched at Israel from Gaza, causing no injuries. The IAF responded by eliminating a number of terror targets in Gaza shortly thereafter.